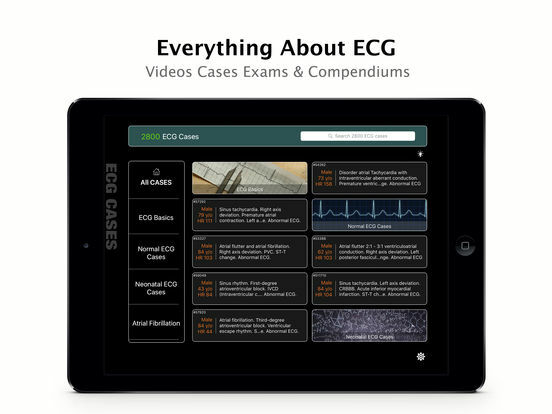 Over 620,000 users are using ECG Cases to learn and sharpen electrocardiography knowledge and skills! They are medical students and teachers, primary healthcare providers, physicians, practitioners, and nurses. Join them today to get your ECG knowledge refresh. 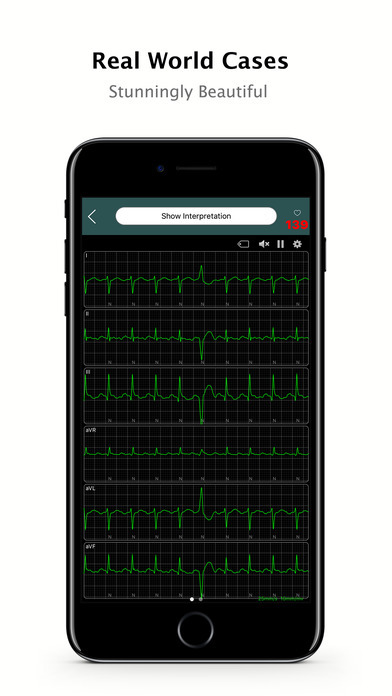 Here is a beautiful app with rich collection of real 12-lead ECG cases you can use to develop your interpretation skills. Each case is identified with a brief description (e.g., "Male 73 y/o, HR 158; Ectopic arrhythmia - atrial tachycardia with intraventricular aberrant conduction..."). Select a case and you can choose either Play mode, which shows you the ECG telemetry as you'd see it on a monitor in real time, with beeps for heartbeats, or Read mode, which gives you the printed ECG tracing to interpret. You can choose cases by category or search for them by name. You can also bookmark cases and return to them later. For students and practitioners who wish to strengthen their ECG-reading capabilities, this app would seem justified, because ECG Cases gives you an effective way to immerse yourself in a wide range of ECG patterns and interact with them as if these were your own patients. 1. Excellent for review of multiple rhythms. You'll need to come with your basic understanding of EKG interpretation but the app is great for a challenge. 3. It is a great learning tool. I use this app for school and it helps out a lot for understanding how to read them and what to look for. 5. Very detailed app for learning ECGs, all my staff has this app for continued learning. 6. As a medic student this app is amazing. It's helped me a lot more than I could have hoped for. 8. Great app. Most of strips are above my skill level a a paramedic but still fun to play and learn. Very well rendered. Would be nice if there was a "basic" version of this for paramedics and nurses. Also a brief explanation of why a strip is interpreted the way it is would be helpful. "I'm reviewing the app with my father who happens to be a specialist in internal medicine, and we're astonished with this app capabilities in helping students like myself understand EKG waves. 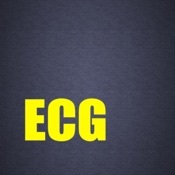 It's not easy but with the help of this app EKG makes more sense to me." "This is a great App that exemplifies and provides easy training for medical professionals. It is a tool that anyone working in the medical industry should possess." 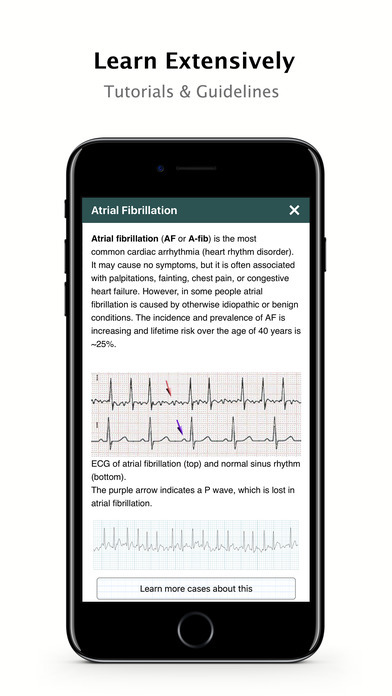 "Great app for keeping your skills sharp and seeing a wide variety of cases"
2) Search for whatever you want to learn, like "Flat T wave"
For students or interns, you can use the cases as learning resources.